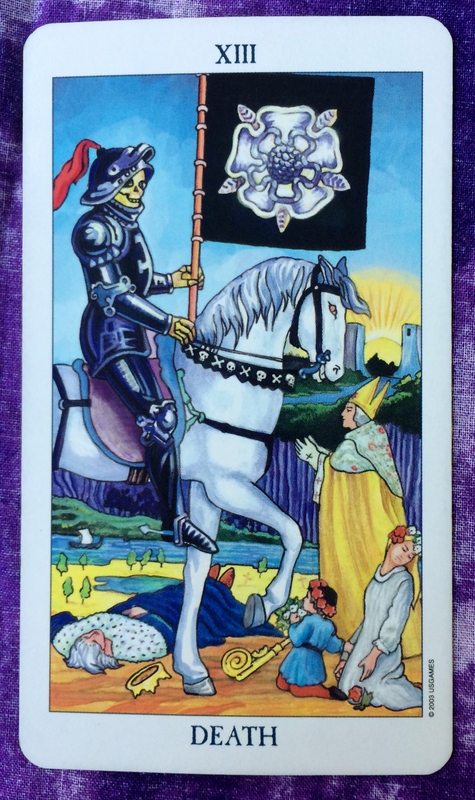 The card for today is Death. It’s not as scary as it sounds. Think of it simply as change and transformation. It’s letting go of what no longer serves you. It could be a person, place, or thing. It could be as big as giving up a relationship or as small as giving up coffee (or maybe that’s a big thing too!). Perhaps you have an outdated idea that you are tossing away for a new outlook on life. Whatever is changing in your life, it will be for the better. In the horizon, a new day is being born.